The Nexcopy USB Duplicator has an outstanding retro design and is pretty modern where it counts. Up to 60 flash drives can be duplicated with this computer attached model, bringing many unique features that standalone USB duplicators cant offer. 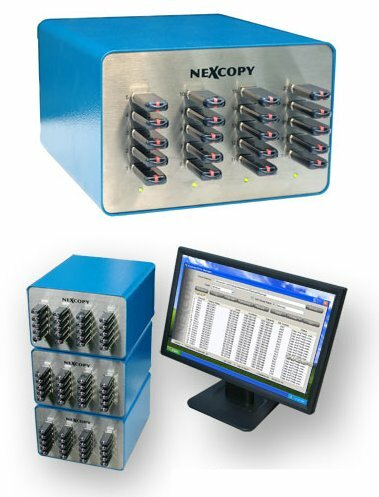 The Nexcopy Duplicator is also available for CF and SD Cards . I think this is advisable to companies who maintain so many records. In this way, they could disseminate information easily too. when you click on my links you need to check if the sellers would ship to worldwide/Nigeria or contact them about that. As for your file transfer question, that’s what the Copy Add function is for. This enables you to transfer data without formatting the flash drive first or if a file with the same name is already on there, to replace it (with the updated version).